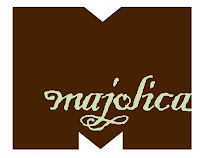 For more information or to sign up, visit the Majolica website. Not only are these informative, but he feeds you !!! Sign Up Before He Comes To his Senses And Raises The Price !!! Ditto the above comments. These demos have been a great introduction to Majolica for me and I'm happy to continue on with the newly opened sessions.